[GApps Guide] Which Google App pack I should download? 1 Which Google App pack (Gapps) I should download? Updated – If you have installed or flashed any custom ROM like CM, Remix or any other then you must have to flash Gapps too, Inorder to get all Google Apps including Play Store which is the main thing of every android smartphone ( the heart of every smartphone). Without play store, our device is totally incomplete as it help us to Download our favourite apps, games, wallpapers and much more.Follow this article to find out Which Google App pack (Gapps) you should download. Android is a biggest Operating System ever and also it is one of the most popular and used OS ever. The reason behind the success of Android is because of its ability of customization we can use or customise our android device according to our needs without any problem. Also, we can flash or install any custom ROM which we like on Android device which we can’t do in iOS. There are many Custom ROM present in the online world which can be easily flashed on our android device. The Most used and favourite of million of User’s custom ROM was CM which was recently replaced by LineageOS. So when you download Gapps for your android device then you see 4 sections on OpenGapps.org ARM64, ARM, x86, x86_64. We have explained each of them very clearly so next time when you download GApps you will not face any problem. ARM64 is only compatible with devices which having 64 Bit processor. If you don’t know what processor you have then you can download Cpu-z from Google Play store and can check your device hardware easily. ARM is only compatible with devices which having a 32-bit processor. If you don’t know what processor you have then you can download Cpu-z from Google Play store and can check your device hardware easily. x86 is only compatible with devices which having Intel Processor like Asus Zenfone devices. X86_64 is the 64-bit version of the x86 instruction set. It is very rare, hardly found on any device. Nowadays most of the device contains 32-bit processor, so it is better to download ARM gapps but you still can get all the information of your android mobile hardware by download CPU-Z App from play store. You can install ARM gapps on ARM64 device but you can’t install ARM64 on ARM device. If you have any questions regarding this, then feel free to ask in the comment section. 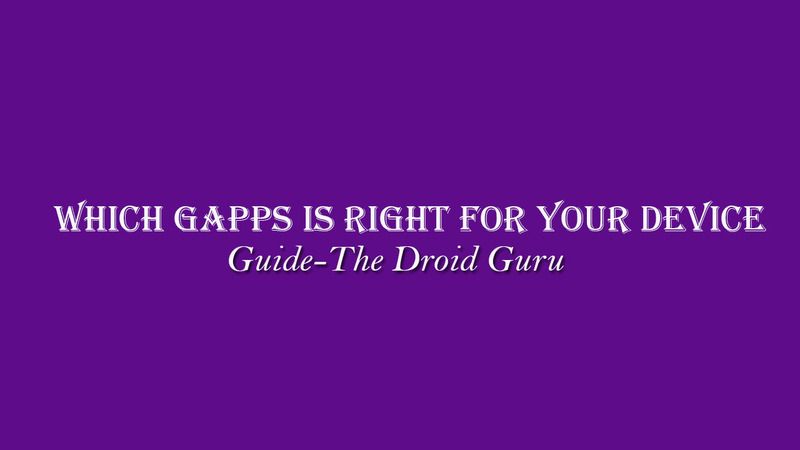 Tags: Download GAppsGappsGApps for All androidGoogle AppsRight GappsWhich Google App pack (Gapps) I should download?